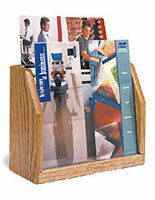 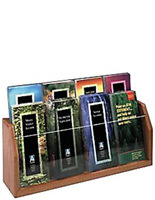 Literature Holder - This literature display has 8 pamphlet holder pockets. 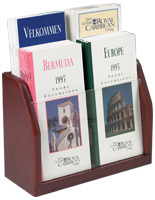 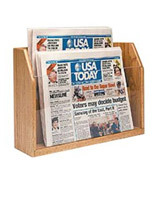 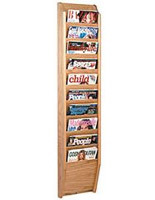 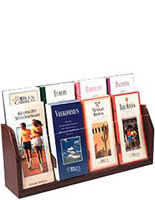 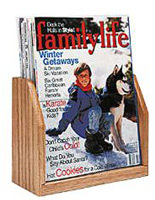 It is great as a countertop literature holder, a brochure display, a literature organizer, or a brochure stand. 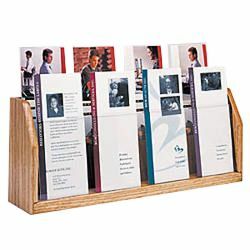 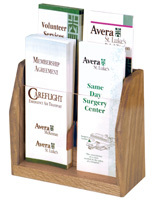 This brochure display rack is built with solid oak in a light oak finish and has a clear acrylic front (18-1/4"w x 7-1/2"h) and has a 4" depth.